Brain Vs. Book – Page 46 – What will emerge the victor? High fives to me! Book 1 is done! It ends in an anti-climatic feeling cliffhanger that seems so Murakami to me. Lots of questions for Books 2 and 3 to answer. And yes, the moon issue comes up again before the end of Book 1, so you know that’s going to be a key translation point. I’m just about done the first book, but a sticky translation issue has caught my eye and I can’t stop wondering how Jay Rubin will resolve it. I think I’ll end up reading the English translation of this monster just to see how he handles this one issue. Because to me, it is so sneakily difficult and no matter how much I noodle around with it, I can’t come up with anything that allows the same ambiguity as the original Japanese. 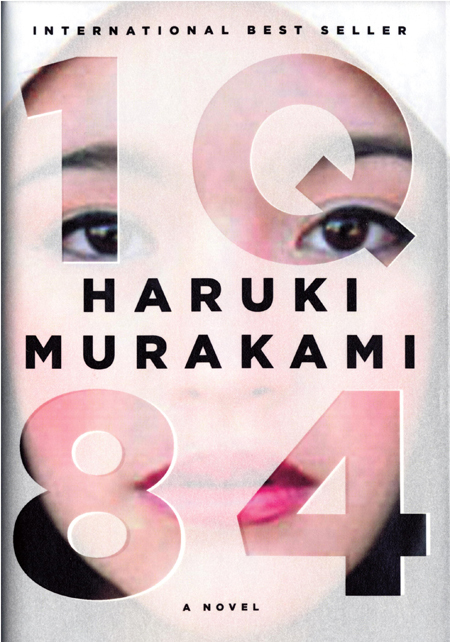 The cover for the English edition of the neverending run-on sentence by Haruki Murakami, also known as 1Q84, was unveiled the other day. Fits right in with the Murakami-in-English look. And of course, it’s much lovelier than the Japanese covers. 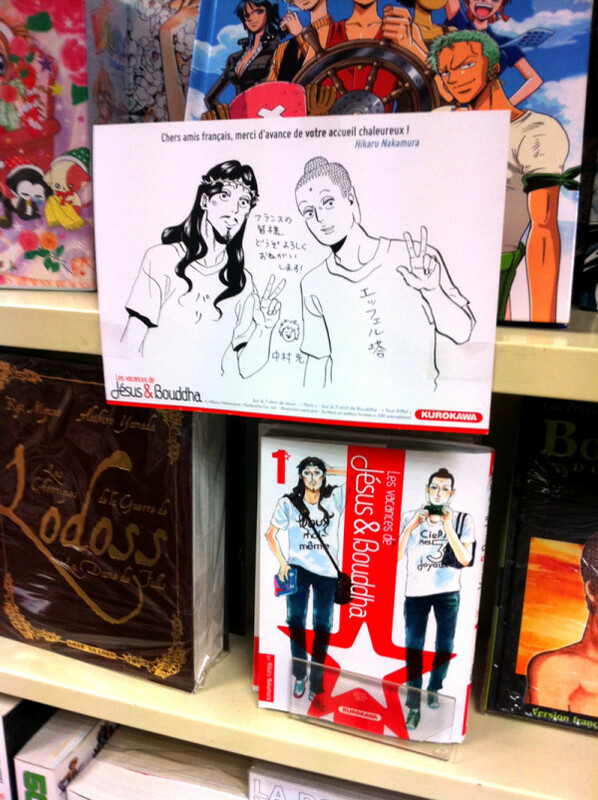 Book design just does not seem to be an art thing in Japan the way it is here. Or I just don’t appreciate the aesthetic in Japan. One of the two.